LONDON -- Fiat S.p.A. expects combined car sales with U.S. automaker Chrysler to total 4.2 million units this year and rise to nearly 6 million by 2014, Fiat and Chrysler CEO Sergio Marchionne said. Marchionne reiterated the targets despite weak car sales in Europe, which have been offset by Chrysler's strong performance in the U.S. and growth in the Brazilian market. 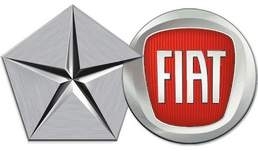 The third-biggest U.S. automaker, which Fiat has managed since a 2009 bailout deal with the U.S. government and now controls with a 53.5 percent stake, contributed two-thirds of the combined group's third-quarter trading profit. Marchionne added that he was "cautious" on the outlook for profit margins and was reviewing Fiat's European 2012 targets, though he expects a "great year" for the U.S. car market. He said that a merger with Chrysler is not on the agenda for 2012. Speaking at the Confederation of British Industry's annual conference in London on Monday, Marchionne also said he expected further consolidation in the car industry. "We're bound to see the elimination of marginal players going forward, I believe we'll end up with just five to six players whose success will be based on sharing architecture, at a global level," he said. Marchionne, who took over the helm at a struggling Fiat in 2004, wants to elevate the Italian carmaker to a global player through a revamped Chrysler. The group targets around 100 billion euros ($144.2 billion) in combined revenues by 2014. That is almost double the expected 2011 revenues of around 58 billion euros the group has targeted for this year. Marchionne was also optimistic that the installation of a new technocratic government led by former EU commissioner Mario Monti, sworn in last week as the euro zone's third largest economy struggles to contain soaring borrowing costs, marked a turning point for Italy's economic woes. "Italy has a once in a lifetime opportunity to embrace change. I think Italy is on the mend," he said.